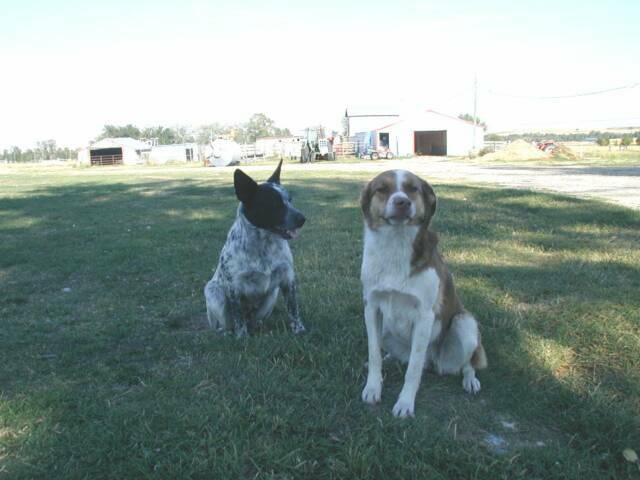 Cutter & Annie are a good source of entertainment for us as well as working dogs. Annie (on the right) is a livestock guard dog / cattle dog and Cutter (on the left) helps with the cow's and does an excellent job dragging the water hose where we need it. After we are done, he drags it back and then tries to wind it up! (At least that's how it appears.) here to add text. 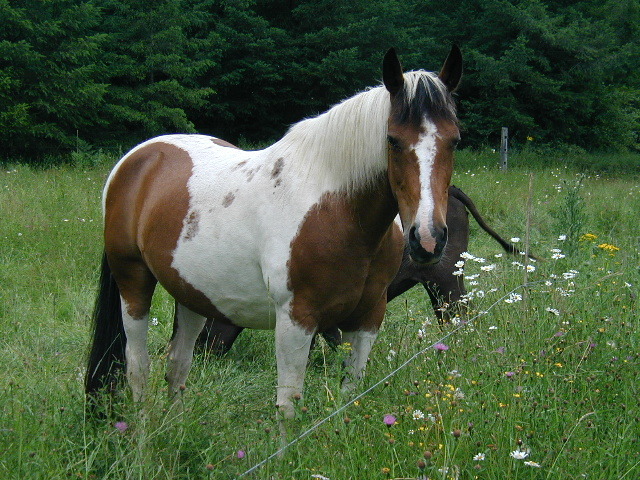 C Horse was a great trail horse used in the mountains in Washington. 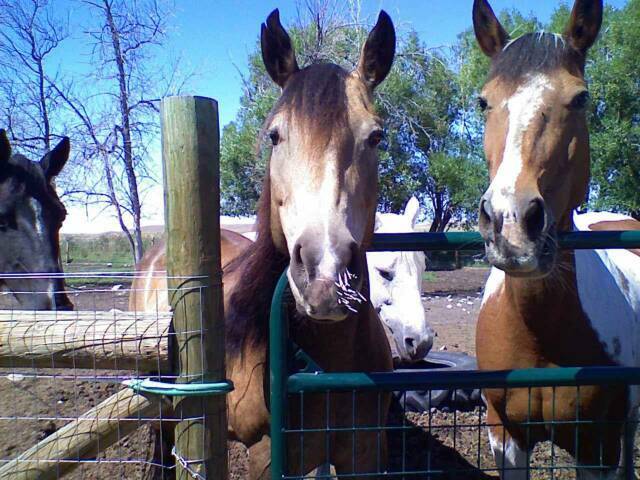 She is 21 and since retired, so all she has to do now is look pretty.Click here to add text. what a journey that was! 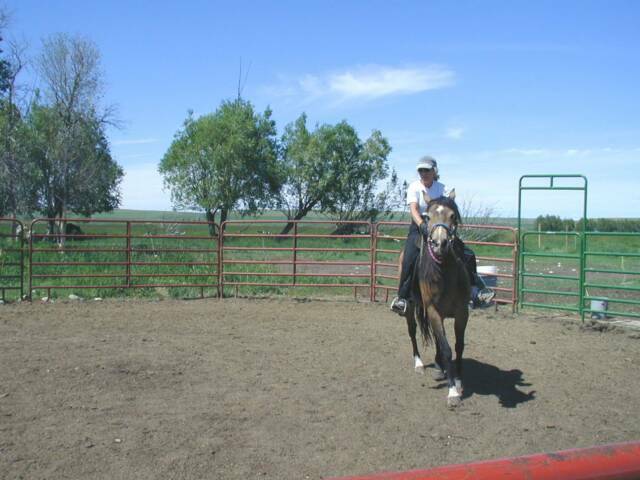 She is due mid-May to a Ranch Morgan, should be a good cross. Click here to add text. C Horse is checking out Bob's new piercing's. Bob really thought she needed to try them out even though she didn't have written permission. We all know how teen's can be when they want something! 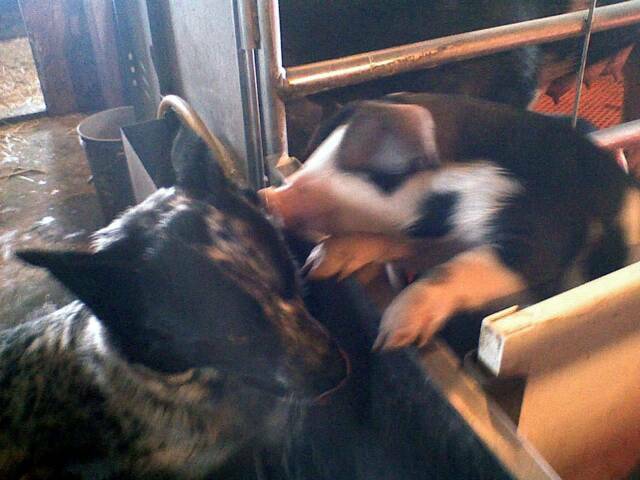 Cutter showing how much he loves little pigs! We will add more pictures soon.